J Hook Filter Seaming machine. Inward Filter Seamer. 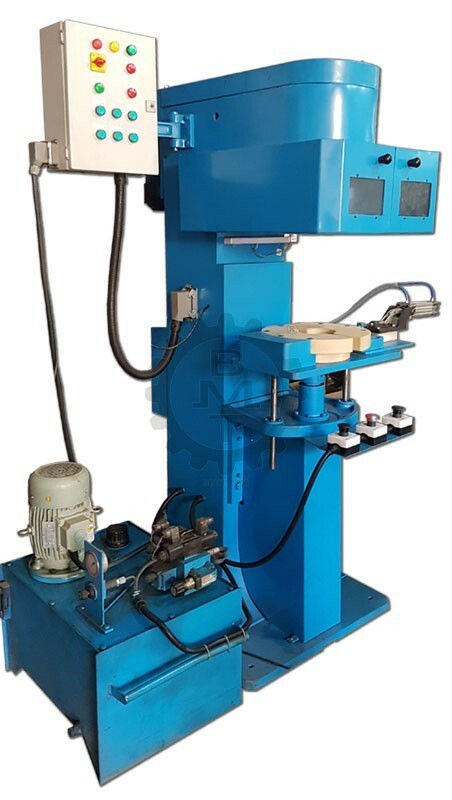 ‘J’ Type Filter Seaming machine for high pressure applications. Seaming is done inwards to form a ‘J’ Profile. Semi-Automatic Dual push button operation. Can accept a wide range of Filter diameters and Heights with a quick changeover. The Filter with the Tapped Plate placed on the filter holder. The dual push buttons are simultaneously pressed and released. The Filter is clamped, raised to the Seaming head, Seamed, brought down and unclamped. The machine is now ready for the next filter. Can be modified to suit customers requirements and applications.